This essay was published by Iron Mike Magazine on October 31st, 2013. I recently received photos of a man I have always had tremendous respect for. I heard his name many times as a young child. I sometimes felt family members grow uncomfortable when I prodded them for details about his life, and once found a newspaper clipping about him buried in a drawer in my grandmother’s house. Like me, he was a National Guardsman who went to war. Like me, he was short and slightly built. He was a handsome guy who probably didn’t lack female attention. He was my grandmother’s older brother, the uncle my father never met. His name was Leo Moreno. Leo was a radioman on a B-17 in the California National Guard. In 1941 he was called to active duty and sent to the Philippines. On December 8th 1941, almost every Army Air Corps aircraft in the Philippines was destroyed on the ground by Japanese air attacks. Leo fought as a rifleman until the remaining American force, nearly out of ammunition and debilitated by losses, surrendered. Leo participated in the infamous “Bataan Death March”. Other soldiers saw Leo on the March, but he never made it to a camp. The 1942 newspaper clipping I found in my grandmother’s house proclaimed Leo was “Missing, Presumed Dead.” Several years later his status was changed to “Killed in Action”. Like many other Americans lost in the Philippines, his remains were never recovered. I remember listening in fascination to conversations among my grandparents and great uncles about Leo. He wasn’t the only member of his family to serve in World War II; all his brothers except one were in the military. My grandfather served in the Navy stateside, and his brother jumped with the 82nd at Sicily, Normandy and Holland. 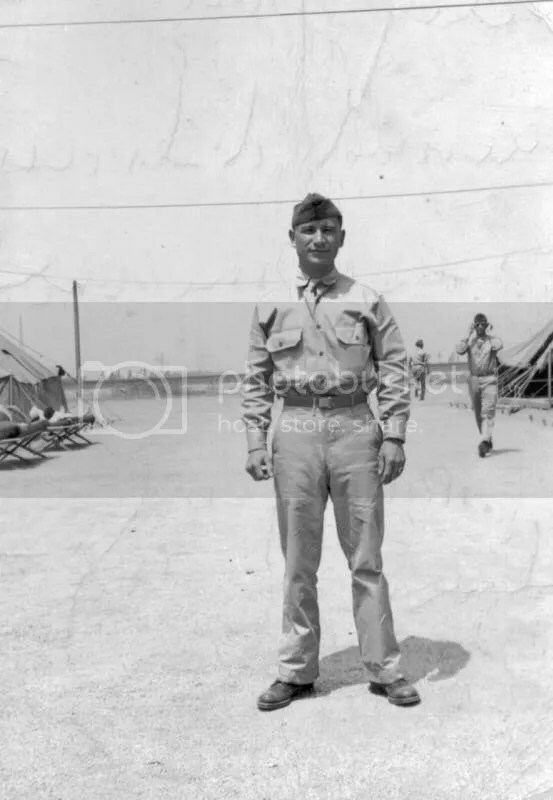 Leo’s youngest brother would later join the Marines, make the Inchon landing and fight at Chosin in Korea. Service to our country in war just seemed to have been an accepted fact of life for my grandparents’ generation. I don’t remember ever hearing anyone complain about having served. And while my family grieved over Leo’s death, I never felt like they resented it. We don’t have an official Army photo of Leo. 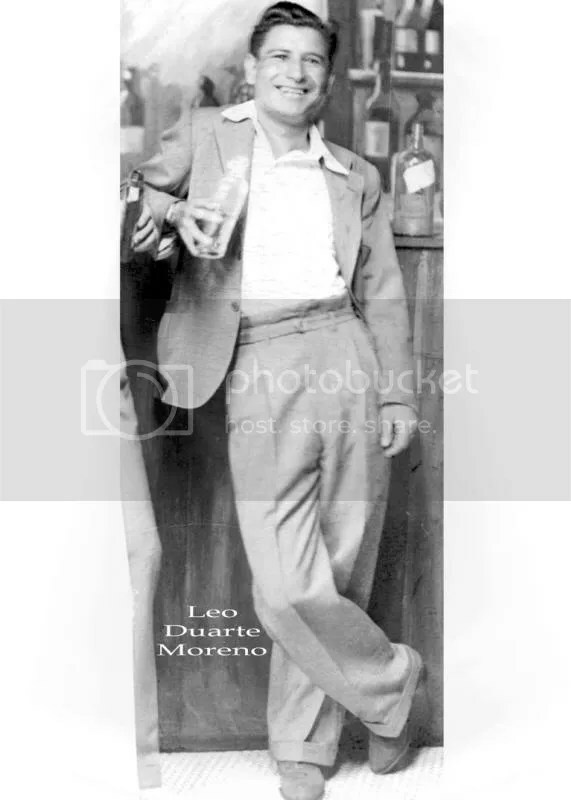 But Leo had been an elevator operator in California and had a photo in his work uniform. 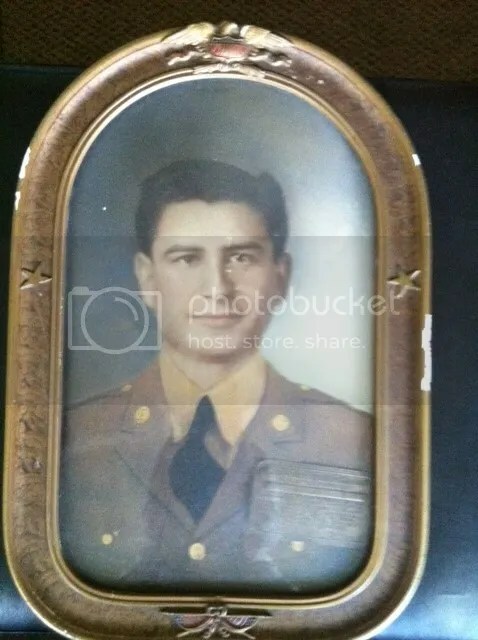 My great-grandfather had that photo retouched to make it look like a military photo. A few days ago I finally got a copy of the retouched photo, which I consider a family treasure. 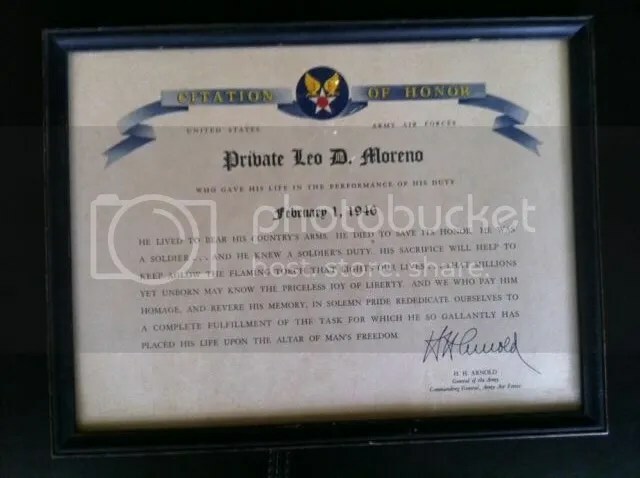 I also received something else that day: a picture of the “Citation of Honor” the Army sent after Leo was declared dead, signed by General “Hap” Arnold. Those words mean something. They aren’t just ink on paper. I look at those veterans, and read what they have to say. Then I look at my great uncle Leo, and other family members of that generation. I think of all the complaints they never made. And I feel that Leo’s willingness to sacrifice, to serve selflessly, is lacking in far too many of my generation’s veterans. Leo represents true heroism to me. He wasn’t the Special Forces superman with decades of training, nor the Navy SEAL with countless confirmed kills. He’s the regular Joe, the ordinary man in extraordinary circumstances. The man who comes from normal life and endures pain and privation for the good of his country, with the expectation of returning to normal life afterward. The kind of man who feels honored by the opportunity to serve, instead of broadcasting to the world that he’s somehow been victimized. I don’t know any details of my uncle Leo’s death. With so few survivors left, and after so many years, I doubt I’ll ever find out. I’ve read several books about the Bataan Death March, and I know some of the possible ways he died. He may have been shot or bayoneted for leaving the road to drink dirty water from a ditch. He may have simply dropped dead from dysentery, wounds and exhaustion. I like to think he died trying to escape into the jungle and carry on the fight, like many other Americans did. I’ve even joked that he’s probably still living in a Philippine jungle, being fanned with palm fronds by all of his wives and fed coconuts by dozens of children and grandchildren. But I’ll never know for certain. And that’s okay. What I don’t know about Leo’s death isn’t as important as what I do know about his life. When I look back across 71 years and see my great uncle Leo smiling in a bar with drink in hand, or posing with a serious look in his not-quite-military uniform, I see much of what made this country great. I see someone willing to give up his peace and youth so my children can enjoy theirs. I see someone who believes what we have in this country is worth fighting for, and dying for. And I hope when he looks back at me from that photo, he sees the same things. I just received a few more pictures from my sister. One is of Uncle Leo, the others are his brothers who also served. I don’t know exactly when or where these were taken. 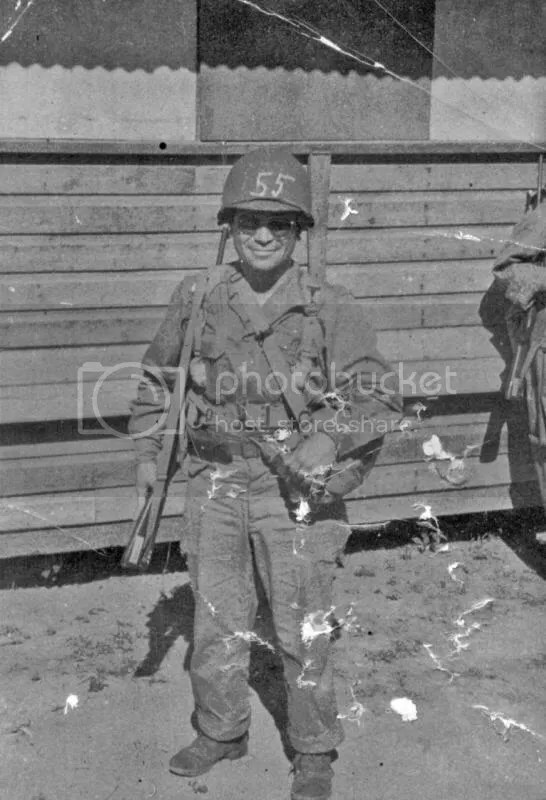 Leo Moreno, MIA/KIA on the Bataan Death March. His brother Dave Moreno. My uncle Dave served in the Army Air Corps in Ireland and married an Irish woman. Dave retired from the US Post Office and died several years back. He was a very good, decent family man and I have fond memories of him. My uncle Paul Moreno, the oldest brother. He died when I was a pre-teen and I didn’t know him well. But I do remember seeing him at a family Christmas reunion, while he was dying of cancer. Someone commented that they were surprised to see him, and he replied with a smile, “I’m not gone just yet.” Later I saw him take his glasses off, wipe tears from his eyes and then try to act like he was okay. I visited his home many times near the end of his life, and it was hard to watch what cancer did to him. His wife, who seemed to adore him, died of cancer shortly afterward. Tell me this isn’t super cool. 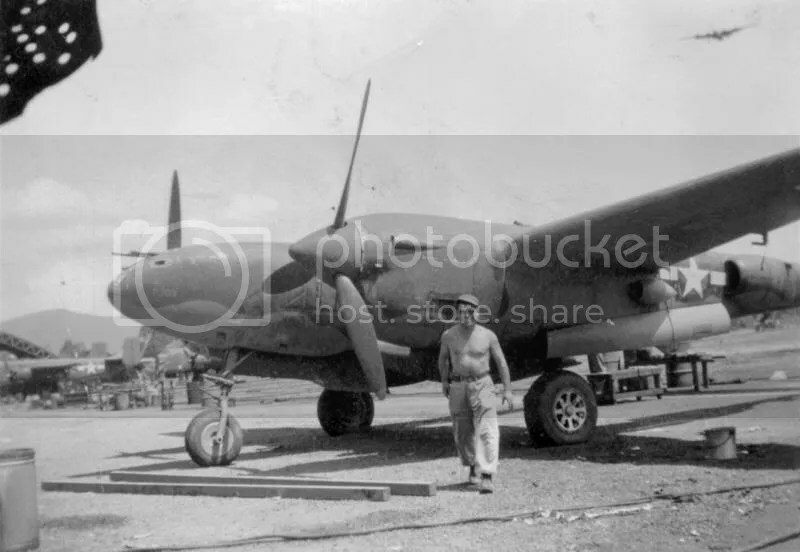 Apparently Paul worked on P-38s. My great uncle helped keep some of the coolest airplanes EVER in the fight. 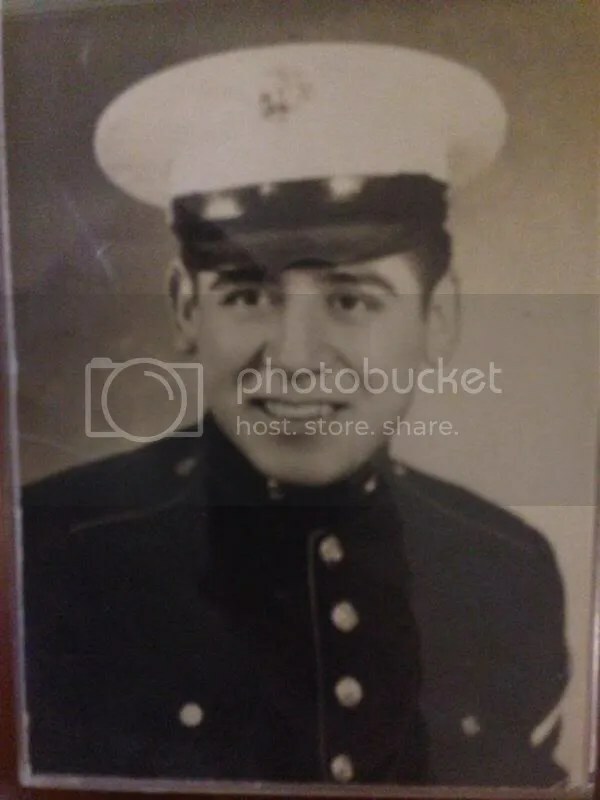 My uncle Richard Moreno, Korea Marine and one of the “Chosin Few”. Richard ran an amusement company after he got out of the Corps, and died way too young. He would only give the barest details of his service, so I never got the full story. I know he came home extremely traumatized, but eventually got past it. I knew him as a solid family man. His son was also a Marine. One reader above commented that I “come from good stock”. I think he’s right. 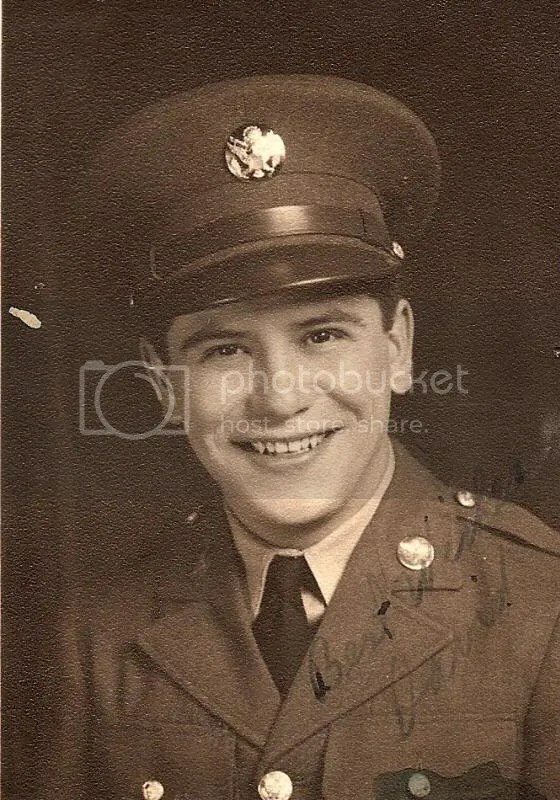 The relatives I’ve written about were first generation Americans who survived the Depression, then served in World War II, then came home to careers and families. They didn’t expect to be rich and didn’t search for ways to scam money from the government. As a child I didn’t realize how much of an impression those men made on me. Now, as an adult, I’m thankful for every moment I spent around them. Happy to write it, Dad. Hey man, I apologize :). I’ve written something a little more humorous for BreachBangClear, hopefully it will be published soon. Speaking of that, have you read Learned Helplessness? That was pretty lighthearted. I vote with Mikey, we need some humorous and a release of that follow up book you keep promising. When we left them, the relief column was entering an invaded US city and the Schumer was about to hit the fan! Get with the program here, buddy! Some of us have a habit to feed! It’s depressing to think that we’ve lost so much family history. All of Grandma and Granddad’s siblings are gone, and their stories with them. I think this generation lacks the strength and will of our grandparents and great uncles, and that bothers me. I’m always pleased when old family photos turn up. I saw one of Mom’s dad in uniform from WWI. I understand he was a cook in France, but don’t know much more than that. He and Grandma aren’t around to ask. I should ask Mom about it when I see her next. Dad’s dad was a Colonel in the Engineers, in charge of building the Ledo Road in Burma. Dad’s side of the family is larger and spread over more of the country, so there’s always the possibility of new photos showing up. Unfortunately, they sometimes do when one of my uncles passes and the kids go through his stuff. We’ve gotten better about sharing things like that, though, and my generation knows enough to scan photos and get them out on family websites so we can all see them. One of my favorite photos of Grandpa Green isn’t from Burma, though. It’s him in his football uniform at the University of Illinois, where he used to block for a guy named Red Grange in the 20s.